I first discovered gua bao not amongst the David Chang hype of the mid-2000s, but when I came home to find that my sister had brought me a care package from her Taiwanese friend’s home. One perfect fluffy steamed bun, still warm, stuffed with a slab of pork belly that had been simmered for hours in master stock, pickled mustard greens, crushed salty-sweet peanuts and a sprig of coriander. It was perfect. And there was only one. Perhaps there was more than one, but only one made it home to me. I had to have more. I asked Tania to ask her friend to ask her mum for the recipe. Yes, I was desperate. I begged her to just happen to invite me over on the day that she was going to be cooking it again. But her mum went back to Taiwan and so I never quite managed to get the recipe off her but I’ve researched, tested, tweaked and re-tested this what seems like dozens of times now. And strangely enough, this is the first time that I’ve managed to photograph it – it’s the food blogger’s curse I tell you, cook something amazing and you’ll have to cook it at least two more times before you actually get around to photographing it and blogging about it. The first time is for taste testing, the second is because the first batch tasted so good and the third batch is just because. 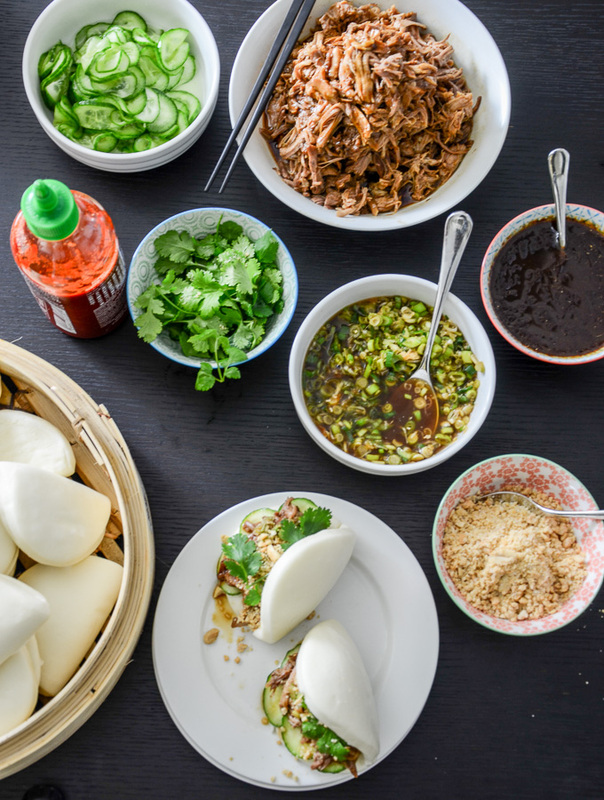 It’s one of my favourite dinner party recipes because I love having guests assemble their own baos, talking about food and passing condiments around the table. There are so many gua bao recipes, David Chang’s being the most famous but Taiwanese mums have been making this gua bao long before David opened the first Momofuku. Momofuku’s pork buns use pork shoulder and is slow roasted for six whole hours. He serves it with quick pickled cucumbers, ginger scallion sauce, ssam sauce, white rice, lettuce, fresh oysters and kim chi. Traditional gua bao is made with pork belly, gently simmered in a master stock for two hours and served with crushed peanuts, pickled mustard greens and coriander. How do you like your gua bao? It’s a matter of preference really, and you won’t hear any complaints from me about things being fatty but if I’m going to eat fat I’d rather it be delicious fat – crunchy pork crackling, gooey triple cream brie or deep fried something or other. Call me radical, but the texture of slow-braised, gelatinised pork belly fat isn’t really high on my list. To me the perfect gua bao, non-traditional as it may be, has pulled pork cooked in master stock, David Chang’s quick pickled cucumbers and ginger scallion dressing, crushed peanuts, fresh coriander, extra sauce on the side and of course, Sriracha. This meal is as easy as buying your own baos – even David Chang concedes that he buys his in for the restaurant. They come frozen at Asian grocers and here in Canberra only one store sells them, trust me, I had to beg the (lovely) owner to order them in for me. So if you do decide to make these, go to SupaBuy on Wooley St in Dickson and make sure you tell them how much you appreciate them stocking gua baos. If you can buy them – seriously, just buy the baos already – it will halve your cooking time. If you can’t get them where you are, I’ve included a recipe to make your own bao below. There are so many different recipes for those too and after testing a few, I’ve decided simple is best. There’s a lot on the internet about low gluten flour and high gluten flour. You can just use plain flour, but I like to use a low-gluten flour as it’s lower in protein and yields extra fluffy dough – look on the nutritional label, you’re looking for about 8g of protein per 100g of flour. High gluten flour, by contrast is more for baking breads that require more elasticity, a high rise and chewy texture. 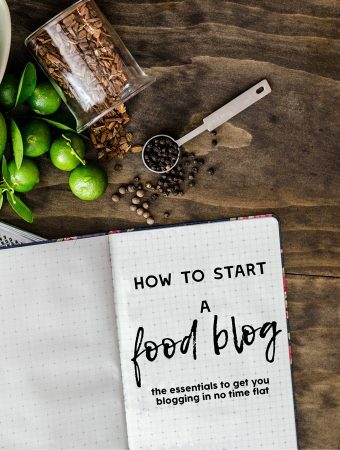 There are too many recipes that require you to mix low and high gluten flours – I’m not even sure what that would add and why you wouldn’t just use a regular flour if you were going to mix two flours with different gluten and protein contents. Bleached flour gives you those perfect white steamed buns and unbleached can make them look a tad yellow, but they taste just as good. Cut 25 2"x3" rectangles of baking paper and set aside. Combine the lukewarm water, yeast and sugar in a bowl and allow the yeast to bloom for a few minutes. Place the flour and bicarb soda in the bowl of a stand mixer with the dough hook attached, then add the yeast mixture. Mix on a low speed until the dough forms, then cover with a damp cloth and leave in a warm place for about 20 minutes. Divide the dough into equal pieces, about 30 g each and roll into a long oval shape. Dip a chopstick into oil and fold the dough over the chopstick, roll the chopstick out (creating an oil layer to stop the top and bottom layers of bao sticking) and set the rolled bao dough onto a square of baking paper. Allow to proof in a warm place for a further 20 minutes. When ready to eat, steam in a single layer for 5-7 minutes or until cooked through. Do not steam for too long as they will start to get hard and turn a weird yellow colour. Pull apart the pork with two forks and set aside. Strain the masterstock, reserving the liquid and return to the pressure cooker/pot. Add the sugar then reduce by two thirds until it is a thick syrupy consistency. Toss some of this sauce through the pulled pork, then reserve the rest for serving with the gua bao. Using a mandolin or a sharp knife, finely slice the cucumbers, then toss with salt flakes and sugar. Set aside for at least 20 minutes and up to two days in a covered container. Drain the excess liquid and taste before serving - depending on the salt you used, the cucumbers might need a quick rinse. Combine the spring onions, ginger, vinegar, soy, water, oil and sesame oil in a bowl. Taste and check for salt, adding more soy sauce if needed. Crush the peanuts in a mortar and pestle, or pulse quickly in a food processor until the size of rice grains. Toss through the sugar and set aside. 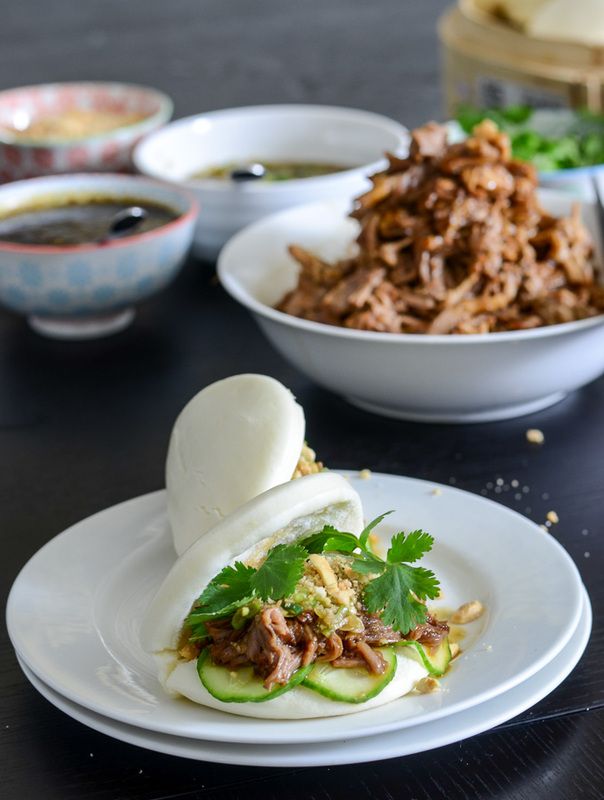 Warm through the pork, steam the buns and serve with extra sauce, quick pickled cucumbers, spring onion sauce, crushed peanuts, coriander and Sriracha. Hi Tash, do we need to steam in high heat for 10 minutes or will the buns be cook d inf steamed in medoum heat? Thanks! The recipe sounds great, especially the addition of pickled cucumbers and crushed peanuts. 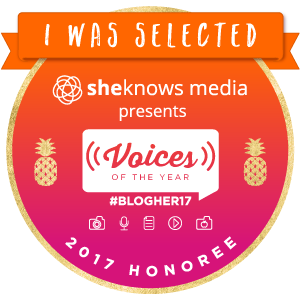 Also this is the first time I ran into your blog. I followed your link from twitter, pretty good stuff you have here, keep it up. Would love to go food hunting with you next time you’re in Malaysia. I’ll be in Malaysia soon – stay tuned on Twitter 🙂 I love KL, though of course, I have my favourite food spots. I love the baos – though for that superwhite bun and fluffy softness, I think it’s best to buy them. It’s really hard to replicate when making it from scratch, I’ve tried so many times – have conceded that they must add some sort of additives to get that texture. I shall consult my pao lady when I am in PJ next. I fell in love with versions of this dish during my time in North Eastern China. My favourite little place was a hole in the wall in Dalian, where they served the pulled pork in the bun, with not much more than a lettuce leaf and some coriander. I used to think of it as a Chinese version of the hamburger. In Xi’an (where the street food was INCREDIBLE) I was stoked to buy one for 2 yuan, which at the time was like 40 cents Australian, with my choice of three additional fillings which included pickled cabbage. I do love that grocer in Dickson. You have tempted me to make my own version of this dish. Fingers crossed it works as well as what yours has! I made this yesterday, sans crushed peanuts which I simply forgot, and it was delicious! One little issue, though, was the bao dough. 500ml water to 500g flour created a dough with consistency of pancake (or crumpet?) batter. There was no way I could divide and roll them so I added 200g more flour and 1/4 tsp baking powder. This produced about 40 baos so I froze the excess. This flour-water ratio would translate to about 350ml if you are sticking to 500g flour. David Chang’s recipe seems to use the ratio of about 300ml for 500g baking flour. In the end, you were right, I should have driven to Dickson and purchased the buns but the results were worth the extra effort! I’m currently hooked to pork pulling and was looking for non-TexMex pulled pork recipes. Oh no Maki, I’ve just checked and it’s uploaded a previous copy of the post. The recipe should be 500 flour and 250 water (I’ve amended it now) and am so sorry about the inconvenience 🙁 If you do decide to make them again, I believe the brand is Purple Orchid flour. Glad you liked the pulled pork part though – there was a time I was also addicted to pulled pork. No worries, Tash, and thanks for the response. I didn’t know there was a brand of low gluten flour available here so that’s good to know. I usually replace10% of plain flour with corn starch whenever low gluten flour is preferred and this seems to work ok. If you were going to buy the bao, where would you buy them? I think your best bet would be an Asian grocer, in the frozen section. I’ve found it also helps to take a picture so they know what you mean. Bao can come in all kinds of shapes. The Chinese supermarket in Gungahlin (near Crust pizza) sells the frozen bao. Thanks for that info Sharna! I’m sure it’ll be useful for someone looking. I haven’t been back to Canberra in almost two years so I’m not even sure if the Dickson store still stocks it. Your recipe looks amazing and looks like the best one I can find online so I can’t wait to try it!!!!! The buns lose a bit of fluffiness as they get cold, so they won’t be at their best but will still taste yummy. Any liquids or sauce will make the buns get really soggy though, so you’ll need to try to keep the filling dry.